7. Reward is based on weekly stakes and quality of posts. Low posts are unacceptable. 9. Newbies are not allowed to participate in signature campaign. 10. “Full Member” and above must add avatar and personal text. Members must add personal text only. 1. Your Facebook account must have at least 400 followers. Number of friends will be fixed at the beginning of the campaign and could not be changed during the campaign. 2. Your Twitter account must be original (95% in Twitteraudit). If you have less than 95% real followers you will be kicked out of the campaign. Cleaning your Twitter account is useless. 5. Only one Twitter account per person is allowed. 8. To pass all checks, do not unfollow our account until the end of the Bounty + 2 weeks. 3. Messages/posts MUST be made in OTHER relevant Telegram Groups. They need to be made in a constructive way and not in a way that will be considered as spamming. Deleted messages are not counted. 2. Participants will earn 1 extra stake per each constructive message they create in regards to IdealCoin in other relevant Telegram Groups (No weekly limit). 5. Posts must be constructive and on-topic. Spam, low-quality posts, copy/paste, and off-topic posts are strictly prohibited. Users found doing so will be immediately and permanently disqualified from all bounty activities. *Upvote a post about IdealCoin or a post on the Official IdealCoin Reddit. Account requirement: 10 karma minimum – account must be at least 2 weeks old. *Comment on a post about IdealCoin or a post on the Official IdealCoin SubReddit. Comments should be at least 15 words. Comments will be rated on their relevance, content, structure, etc. Account requirement: 100 comment karma minimum – account must be 6 weeks old. 1. You must be a native speaker of the target languages. 7. Send your request to our Bounty Manager in Telegram Private message for approval. Only approved applicants will be eligible for the reward upon completing the translation. Hi! I want to participate in IdealCoin`s translation bounty . My native language is: SEE THE LIST OF REQUIRED LANGUAGES ABOVE. My Bitcointalk profile link: <LINK>. My portfolio is: <LINK TO YOUR PORTFOLIO>. We are looking for bloggers, journalists, and video content creators who are willing to write about IdealCoin project and upcoming token sale. All content should be unique and original. NOT for Medium, Steemit (Golos), Blogspot, Newbium, Cryptocoinpravda, Telegram channels and similar. 1. You must have at least 1’000 subscribers on your Youtube channel. 2. Each video on your channel should have at least 150+ views with likes/dislikes and comments. 1. Articles/written pieces to be posted on platforms/websites with minimum 1,000 daily visitors. 2. Content should be clear, concise, logical and constructive with minimal length of the piece of 400 words. You must include website link https://idealcoin.io and Telegram group https://t.me/IdealCoinGroup to every video or article. - Higher stakes could be given to members who created content in Portuguese, Korean, Japanese, German, Spanish, Turkish, Chinese (Traditional Mandarin) & Russian. - Additional stakes depend on video quality, length of the video, number of subscribers, length of article, technical details and depth of analysis. 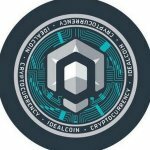 Small posts, reposts, press releases, blog posts and articles about IdealCoin (300+ words). Allowed websites are Medium, Steemit (Golos), Telegram channels and any other free blogging platforms. Blogspot is not accepted. Example: You created post and posted it at Medium, Steemit, etc - it will be counted as 5 stakes (original post in first blog) + 1 stake + etc (non-original article). 5. Fraud (change language with google translate, stealing other participant’s work) will lead to disqualification.